How do you market cars to a growing audience of consumers who anticipate the day they no longer have to drive cars? Today’s automotive marketers face a unique challenge: They need to market cars to a growing audience of consumers who are eagerly anticipating the day that they no longer have to drive cars. As more self-driving car pilot programs take to the streets, the promise of this category of vehicle is rapidly taking hold with many of today’s car shoppers—despite the fact that such automobiles have yet to become commercially available. To connect with these forward-thinking consumers, automotive dealers and brands today need to be fundamentally repositioning themselves. 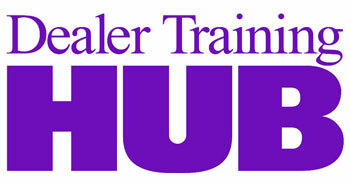 They must seek a deeper understanding of the consumers they intend to attract. They must harness the “why” behind their consumers’ buying behaviors—the values and motivations that influence their opinions and drive their purchases in the auto industry. In a recent study, we tapped into our consumer intelligence marketing platform (covering more than 10,000 attributes across 185 million people in the U.S.) to better understand the values and motivations that drive today’s car buyers. A key segment that emerged in this research was an audience defined by its inherent comfort with the concept of a self-driving car. Here is an overview of the defining characteristics of this compelling group of consumers, as well as advice for connecting with them for current and future marketing and sales efforts. 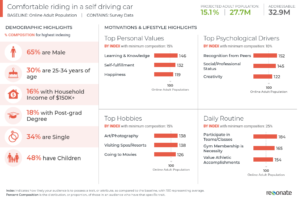 Self-driving car consumers represent a promising group for car companies, with a wide age range between 18–44. They are also a wealthy group, many with a household income of more than $150,000. In addition, they’re willing to spend anywhere between $25,000 to $75,000 on their next car purchase. When shopping for a car, they do so with an eye toward innovation. For these consumers, features such as Bluetooth, Wi-Fi, and navigation aren’t just conveniences—they’re must-haves. In addition, this eye toward innovation extends to their own purchasing habits, as many would consider making their next car purchase online. 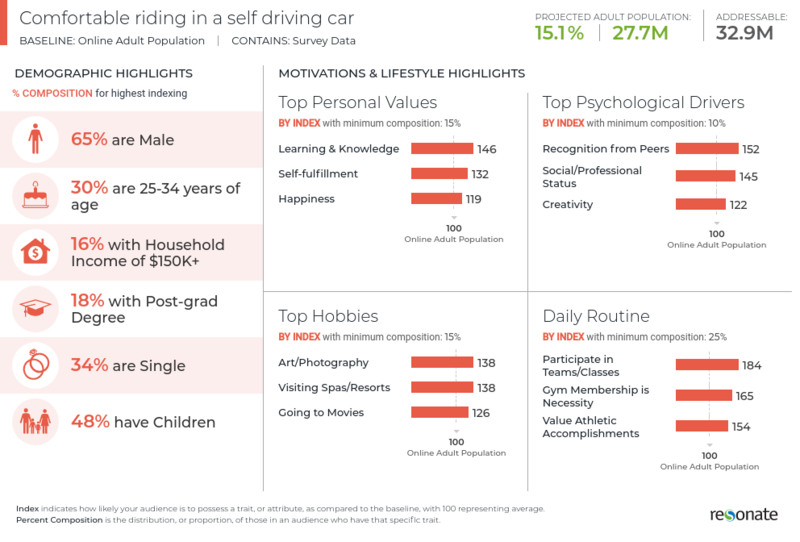 Not surprisingly, these consumers say that self-driving cars would have versatile applications in their lives. These include getting to and from work, getting home after drinking alcohol, taking long trips, running errands, and taking their children to and from activities and daycare. When making car purchases, these consumers look for cars that not only enable them to express their individuality, but also create memories with other people. Both of these desires must be taken into consideration by today’s dealers and auto brands. When buying a car, these consumers are highly likely to be sharing their experiences online as they go. Perhaps the only noteworthy caveat about this wealthy, forward-thinking group is that it would also be willing to get rid of its cars if it were practical. This is likely due in part to the relatively high level of environmental awareness among these consumers, because most say they feel guilty when considering the impact of their driving habits on the world around them. Auto marketers looking to engage with tomorrow’s self-driving car owners should do so with messages of authenticity. These consumers value straightforward information over vague showmanship. Likewise, marketing that focuses on a car’s role in allowing drivers to enjoy experiences with others is likely to resonate strongly. Messaging to this group should also focus on the underlying value of cars themselves, as many of these consumers would not own a car if they had the option. Reminding them that personal car ownership can aid in their connections with those around them is a theme that will speak to these individuals. In addition, because these consumers are so likely to share their car-buying stories online as they go, auto marketers must be exceptionally cognizant of the experiences they create for consumers. One bad encounter is likely to be broadcast well beyond that individual consumer. The upside, however, is that when one of these consumers selects an automobile, he or she becomes a spokesperson for the dealer and brand to a broader sphere of potential car shoppers. Auto marketers would be wise to give these consumers some added assistance in telling their tales. Note: The insights in this article are included in Resonate’s forthcoming “The State of Consumer Audiences” report, which provides an in-depth look at the consumer values and motivations that drive purchases in today’s most important vertical markets. The full report was released in late September. Please go to www.resonate.com for more information. Dave Jeyes is the senior product manager of Resonate’s Consumer Intelligence Marketing Platform. He has spent the last eight years building and optimizing SaaS platforms for brands and agencies in analytics, e-commerce, and social media tools. Dave holds a master’s degree in human factors with a focus in human-computer interaction from George Mason University, and is obsessed with building easy-to-use SaaS solutions for marketers. When Dave’s not helping marketers gain a deep understanding of their customers and prospects, he enjoys hiking, fly fishing, trips to the wilderness to unplug, and fun socks. The Car Buying Decision: New or Used for Millennials?